This week, we wanted to talk about the effect of salt (one of Christa’s favorite food groups!) on drinks. We first found out about salt in cocktails at an Irish whiskey tasting. The host said that mixing with Irish whiskey is challenging because it’s a subtle spirit, however he felt salt could help accentuate the flavors of the whiskey in drinks. Naturally, we were intrigued and started noodling with salt in drinks when we got home. The Spaniard in the Rye We first mixed up The Spaniard in the Rye, a cocktail that we developed a while ago that calls for a bit of salt to brighten the flavors of the drink. Nose: Raisins, figs, candied orange peel, little bit of rye, clove and black licorice. Palate: Sweet orange at the front, supported by strong rye spiciness. Dried fruit and nutmeg (kind of like fruit cake) along with sweet sherry notes on the mid-palate. A bit more rye spice on the close, but a somewhat flat finish. Probably why we added salt to this recipe when we were putting it together. Nose: Pretty much identical to the no salt version with maybe a little bit less of the raisin notes. Palate: Semi-sweet, almost pickled orange at the front, kind of like chutney. More orange, bitter chocolate and black pepper on the mid-palate, less fruit cake notes. The raisin-y dried fruit is still there, just more subtle. Perks up the finish with more spice, barrel, and orange notes. Has a slightly smoother mouth feel. Overall, more of the complex flavors pop, and all of the flavors are a little bit brighter. Shaun felt it was less bitter and a bit sweeter than the one without salt, whereas Christa felt the opposite, that it was slightly more bitter and less sweet. Ritz Sidecar We next tried a classic Sidecar for comparison. 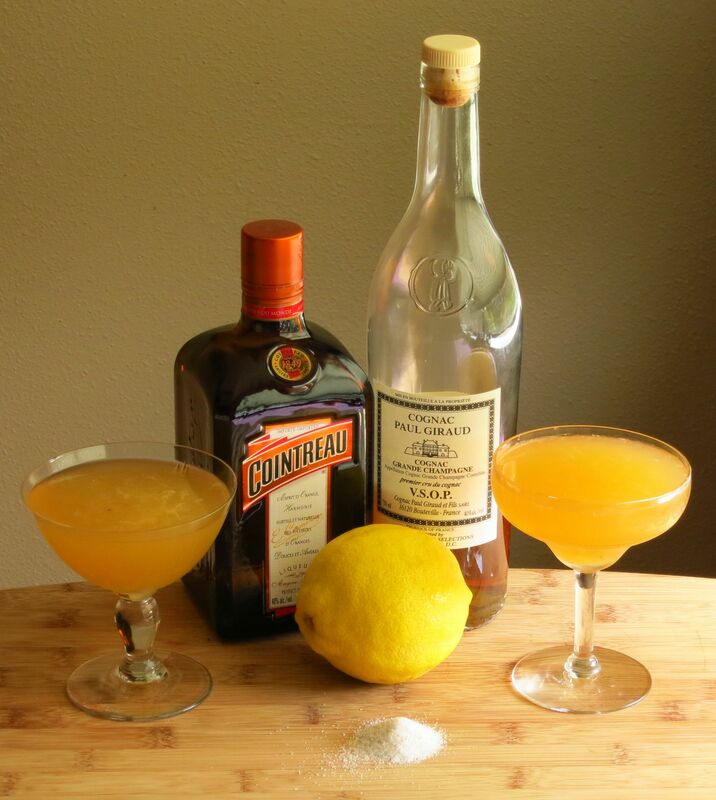 We wanted something that used brandy and orange liqueur so the flavor profile would be fairly similar, but that also included citrus, in case that should make a substantial difference to how salt interacted with the drink. Nose: Lemon and orange peel, orange blossom, baked apple or pear. Palate: Shaun got bitter lemon and cognac to start, then sweet orange on the mid-palate. Christa got mostly cognac richness with barrel notes and cooked pear at the start, then a strong hit of citrus peel and acid along with some faint herbaceousness on the mid-palate. Both agreed on a long, slightly bitter finish. Nose: The aromas were slightly muted, but otherwise pretty much identical. Palate: Lemon hard candy at the front, rich but slightly bitter barrel, cooked fruit, and caramel on the mid-palate. Full finish with some lemon peel and a slight mentholated feel. Both of us feel like the drink is brighter and a bit rounder, with a smoother mouth feel. For Christa, she feels the salt suppresses the sweetness a little and she notices the bitter more. She notices the sweetness more on the start, but overall perceives it as a drier drink. For Shaun it is again the opposite, he feels it is slightly more sweet and less bitter. 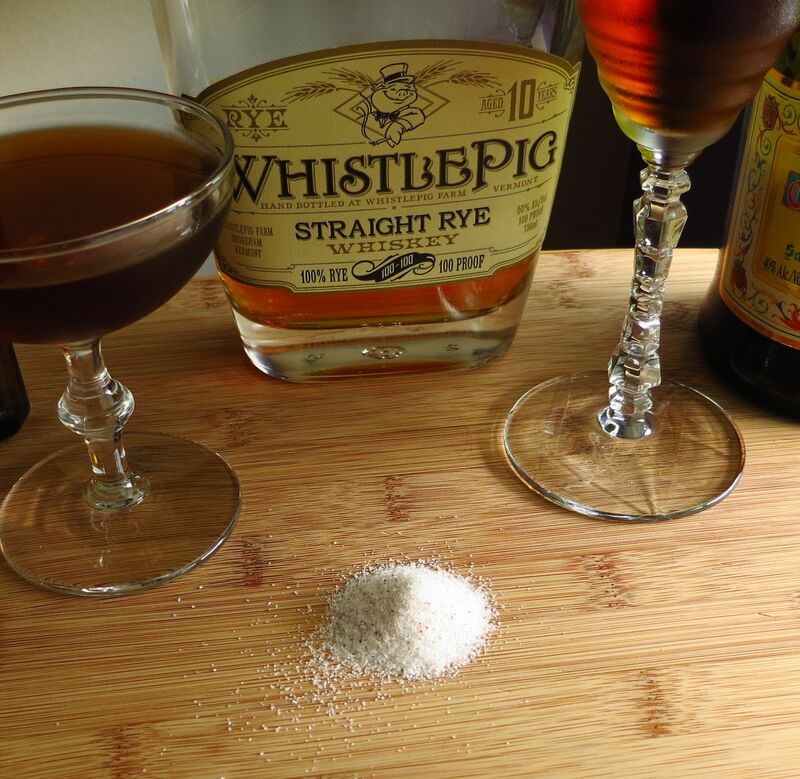 As the two versions of the Sidecar warmed up, the differences become less pronounced, however the one with salt still seems richer, with a fuller mouth feel. So overall, salt can be a welcome addition to a drink, but people may perceive it a bit differently, which is exactly the kind of thing we nerds like to know. It certainly isn’t something we’ve seen discussed before. Salt seems to brighten and round out the drink flavors, as well as smooth out the mouth feel. However, some people may perceive it as enhancing the sweetness and dropping back the bitterness a little, and some people apparently will perceive just the opposite 😉 Seems like more experimentation may be in order here, as we’re not sure if that’s a gender thing, or biochemical idiosyncrasy, or what. So we my need to do another post eventually on how salt affects the balance/integration of cocktails, perhaps with a wider cast of tasters. In any case, we both found the salted drinks enjoyable, so we hope you’ll do some noodling of your own and share the results. Cheers! 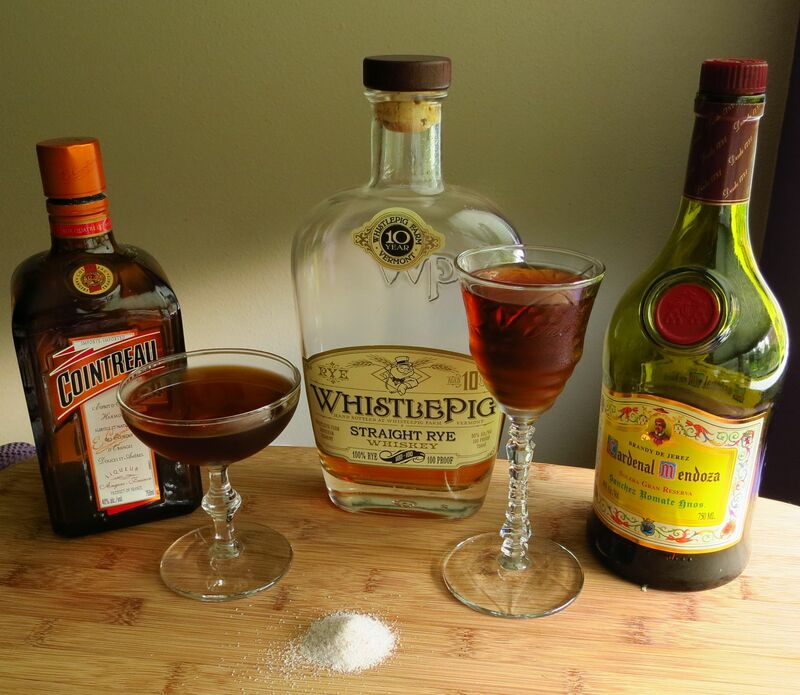 This entry was posted in cognac, Cointreau, Original Cocktail, rye, spanish brandy, the balanced cocktail and tagged cardenal mendoza spanish brandy, ritz sidecar cocktail recipe, the spaniard in the rye cocktail recipe, whistle pig rye. Bookmark the permalink. We added a pinch of salt to a drink we wanted to be abit briney awhile back. Rather than taste salty I really found it enhanced the flavor. Just like salt does in dishes and baked goods. Cool article! I really like using salt in some cocktails, I use a 15%v/v saline solution. I also find that, although being very used in sours, in the Daiquiri, you kinda kill the bright lime flavors instead of making them better. Oh interesting! The Daiquiri was on our short list to try for this post. 🙂 We may have to try that one at some point and see if we get the same differences or if it varies again based on individual palate.